Fluxus Photography WordPress Theme is a magazine inspired template for photographers or other creatives who work with images, pictures or photography and need a good working showcase to show their work nicely side by side. Fluxus Photography WordPress Theme is retina ready, which means that pictures with high resolution will correspond with retina displays and therefore be shown pixel sharp to their beholders. 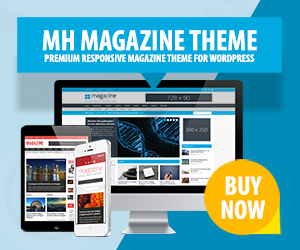 In terms of design, this WordPress theme is rather minimal and therefore lays its focus on the content. The typography is beautiful and can be changed into other styles you might prefer. If you are searching for an advanced photography WordPress theme, this could be on top of your shortlist.